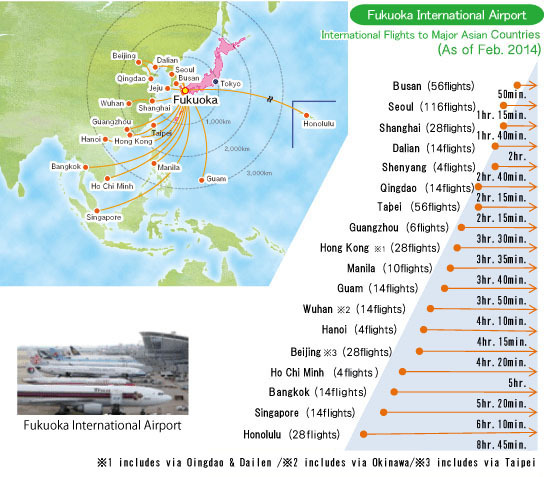 Fukuoka is served by the Fukuoka International Airport (FUK) accepting both the international and domestic flights. 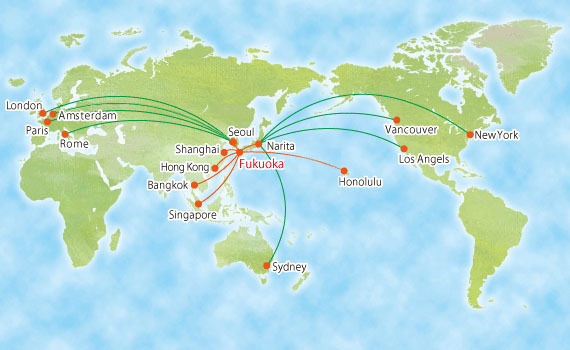 Note that KLM suspends the direct flight Amsterdam-Fukuoka from January 5, 2016. Shinkansen (super-express) train connects Fukuoka (Hakata Station) with other major cities such as Tokyo (in about 5 hours), Osaka (in about 2 hours 30 minutes), and Kyoto (in about 3 hours) . Coryright © PQCrypto 2016. All Rights Reserved.